Coworking has hugely taken off in the last decade, and particularly so in the last few years. And why wouldn’t it? It’s a great way to work for everyone from freelancers, to business professionals to startup entrepreneurs. And the exciting thing is that we’re seeing the coworking concept evolve over time to incorporate new ideas. 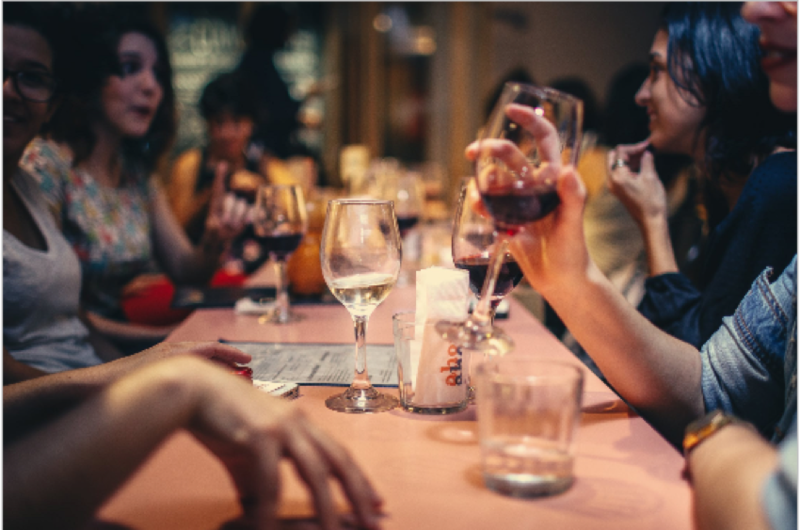 One of the developments we’ve started to see very recently is the collaboration between restaurants and coworking communities. It’s a mutually beneficial relationship with plenty of positives for everyone involved, and as the number of people working remotely increases, it’s a solution that’s definitely worth exploring. Check out our post below to see why the restaurant and coworking collab is the new gig economy frontier. Recommended reading: How Do We Define Coworking? Restaurants-as-coworking models are starkly different other coworking models. The normal model usually involves renting a large office space and then dividing it into small spaces or areas that tenants such as SMBs or freelancers can hire to work alongside each other. Desk, chairs, and normal office extras are included in the cost of rent. Restaurant-coworking spaces are different in one big, obvious way: they’re coworking space by day and restaurant by night. The spaces are shared by two different groups of people with totally different uses and outcomes in mind. Despite this, the solution works, and it works well. By day, dining rooms are transformed into impermanent offices, hosting typing gig workers sipping coffee and phoning clients. By night, diners pile in to drink wine and eat food in the very same tables. The benefits of using coworking spaces for any remote workers. Here’s why restaurant coworking spaces work so well for those in the gig economy. We all know what it’s like. Inspiration isn’t hitting at home, and you need to get out. You’ve just arrived at a coffee chain, lugging your laptop bag and notebooks through the cold, only to find that there are no spaces next to a power outlet. There’s also massive queue for coffee and the only seat left is behind two shouting businessmen and next to the restroom. A monthly coworking membership offers you a pleasant, varied space out of the house where you can get coffee, a guaranteed seat with power source, and be around other humans. Much nicer. Getting out of the house and being in a different environment tends to work well for people’s productivity. Family, pets and household chores can all distract you and impact your efficiency when working from home. Coffee shops aren’t much better. Coworking provides a designated space for quiet and focused working. This helps you to set boundaries between your workspace and your free time — one of the more common mistakes that freelancers and solopreneurs make. In fact, 74% of coworkers say that they are more productive after moving to coworking spaces. If you’re an independent worker or trying to run a small online business, it’s hard to balance overhead costs with profit. Costs can quickly rack up if you’re hiring a small office space or spending copious amounts of money of lattes so that you don’t get chucked out of Starbucks. 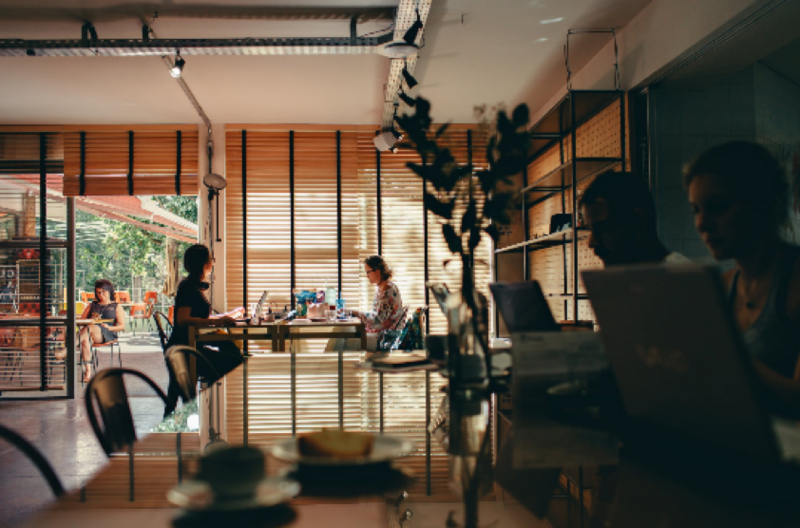 Coworking spaces in restaurants provide money-saving alternatives where you can rent as much or as little space as you need to manage your business without paying extra for a shop front. This is great for ecommerce entrepreneurs — combine this with dropshipping and you don’t even need to find space to store your products. Freelancing can be a lonely job sometimes — working from home without a team (or one that you don’t see very much) can be isolating and disheartening. Coworking offers an alternative — the chance to work around other creative minds and be inspired and connected to other people doing similar work. You can even find potential future business partners, clients or providers by using restaurant-coworking spaces. There are all sorts of benefits to the workers coming in to use the restaurants, but what about the restaurants themselves? After all, the freelancers are just coming in and disrupting the normal working day, aren’t they? The restaurants that take part in the coworking scheme are the ones that are usually closed — for whatever reason — for lunch. This means that during the day, there’s plenty of spare space in the dining room going unused. Yes, chefs need the kitchen during the day to prep for service, but front of house staff can normally set up a restaurant dining space in next to no time. Renting out this space for coworking means that restaurants are able to earn some money and get some of the rent paid. In large cities, rental costs are getting higher and higher, and restaurants run on pretty narrow margins, so it’s good to have so back-up cash to help pay the bills. It’s no coincidence that New York and London are the biggest coworking cities, and two of the most expensive to live and rent in. There’s also the chance to make money selling food and beverages to the workers during the day, depending on your agreement. If you’ve created a pleasant working space that people feel comfortable in, they’ll be more inclined to stick around afterwards to check out your hospitality. They’ll want to see what your restaurant is like once the curtains are raised. Think about it. You’re working at a restaurant or bar, and you’re coming to the end of a busy day, Why wouldn’t you want to stay for a little bit longer and grab a beer when the ‘closed’ sign is flipped over? If you want to network too, then hanging around to chat to potential clients or business partners after your coworking space converts is the perfect set-up. It’s a mutual, casual space that will make for neutral ground. Coworking is an exciting (and new-ish — at least to mainstream gig economy) concept. Any restaurant that takes part in a coworking scheme is going to attract attention. People will want to find out more, and visit your restaurant. Gig workers sharing your space will also talk to families, friends and colleagues about the restaurant. With all of these benefits for both parties, it’s easy to see why the merge between restaurants and coworking is at the frontier of the gig economy. It’s a great use of empty space for everyone involved, ensuring that both industries are positively affected by the relationship. If you run a restaurant, it’s the perfect way to make some extra money and do a bit of advertising on the side. And if you’re a remote worker, it’s an awesome opportunity be part of a creative space that is cost-effective, varied and sociable. What do you think about the restaurant and coworking collaboration? Would you consider managing a restaurant coworking space or working in one? Let us know in the comments below.